Butuan City Water District (BCWD) joined the world in the celebration of the World Water Day on March 22, 2016. This year's theme is "Water and Jobs." It means this year's celebration is focused on giving importance to water and the jobs related to water; and looking at how these make a difference to the lives of the peoples around the world. 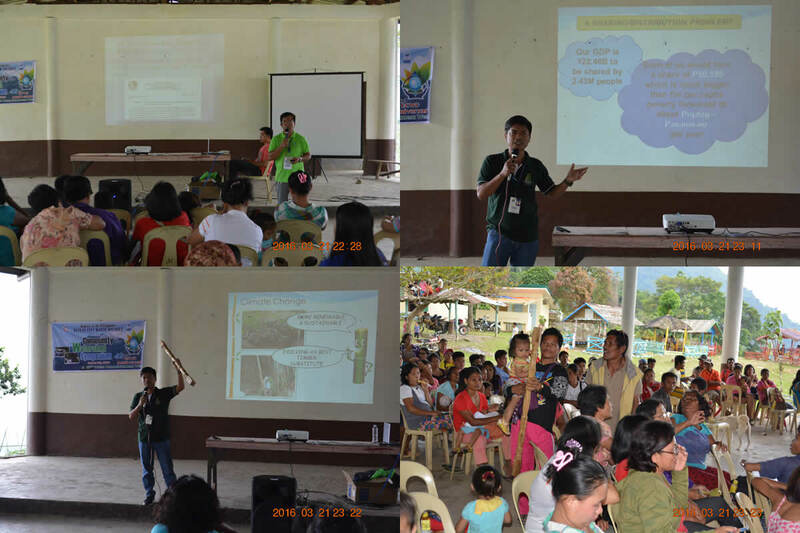 As such, BCWD conducted an "orientation-seminar on making abaca and bamboo by-products" in Mahayahay, Anticala to about 250 participants. While it was not actually a seminar-workshop or training for the participants to learn how to make by-products of abaca and bamboo, but it gave participants ideas and opportunities to increase their income by making different products out of abaca and bamboo instead of selling harvested abaca and bamboo to the market. BCWD is committed to provide them the needed handicraft training in the near future. In related story, BCWD employees conducted a tree planting activity in the Taguibo Watershed where 500 narra, tugas and fruit-bearing seedlings were planted on March 21, 2016 as a pre-World Water Day activity. The two activities were also in line with the 42nd BCWD Anniversary and 15th Water Consciousness Week with the theme "BCWD: Gearing Up Toward Service Excellence."